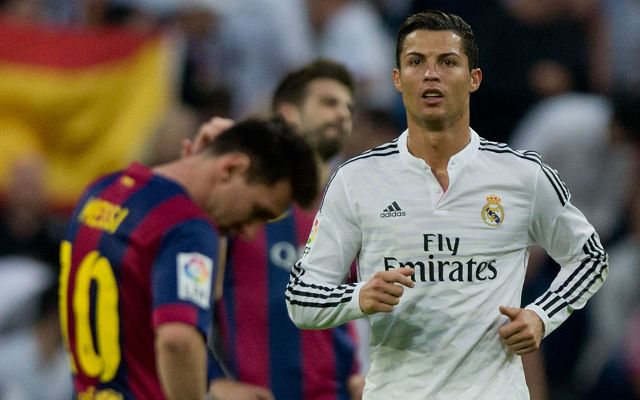 Respected Spanish football journalist Guillem Balague has claimed that Cristiano Ronaldo refers to Lionel Messi as a ‘mother f****r’ behind his back in the Real Madrid dressing room, he wrote in his book MESSI, serialised in a Telegraph column. Balague reckons that Real Madrid players have relayed this information to him, and that stars who speak with Messi are also branded ‘mother f****rs’ by the Portuguese supremo. Ronaldo and Messi are comfortably the best two footballers on the planet, but it’s common knowledge that while they have a mutual respect for each other’s abilities, they do not share a friendship. Balague thinks that Ronaldo’s immaturity may be a reason for this, and doesn’t see the frosty relationship changing any time soon. Ronaldo has enjoyed the better individual form of the pair over the past year, winning the 2013 Ballon d’Or, and being made the strong favourite to win this year’s gong for the world’s best player as well.